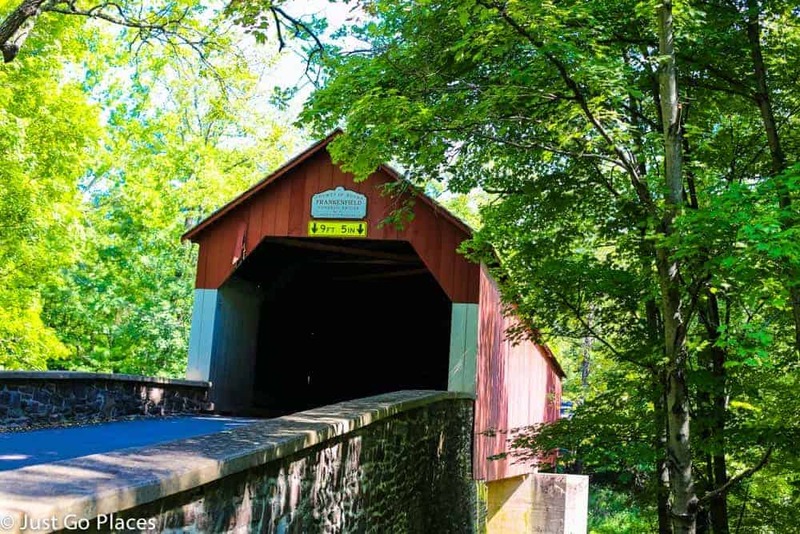 Did you know that Pennsylvania has the most covered bridges of any state? 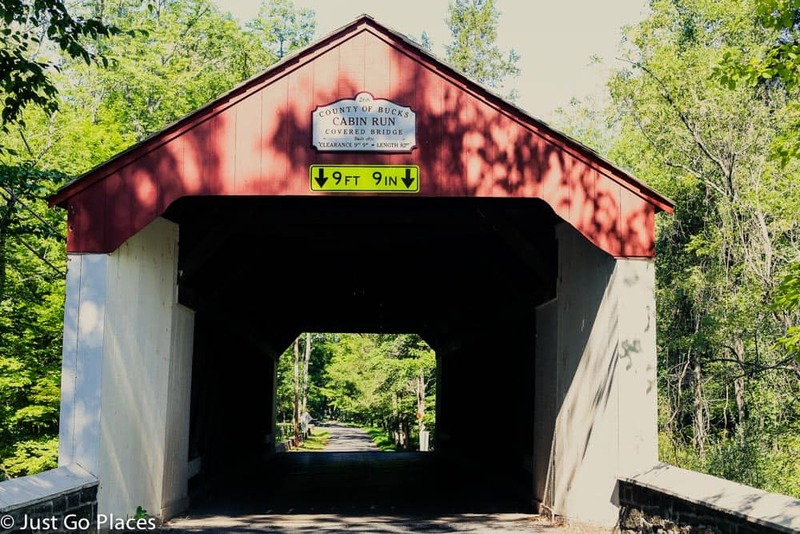 There are 219 covered bridges left in the state. 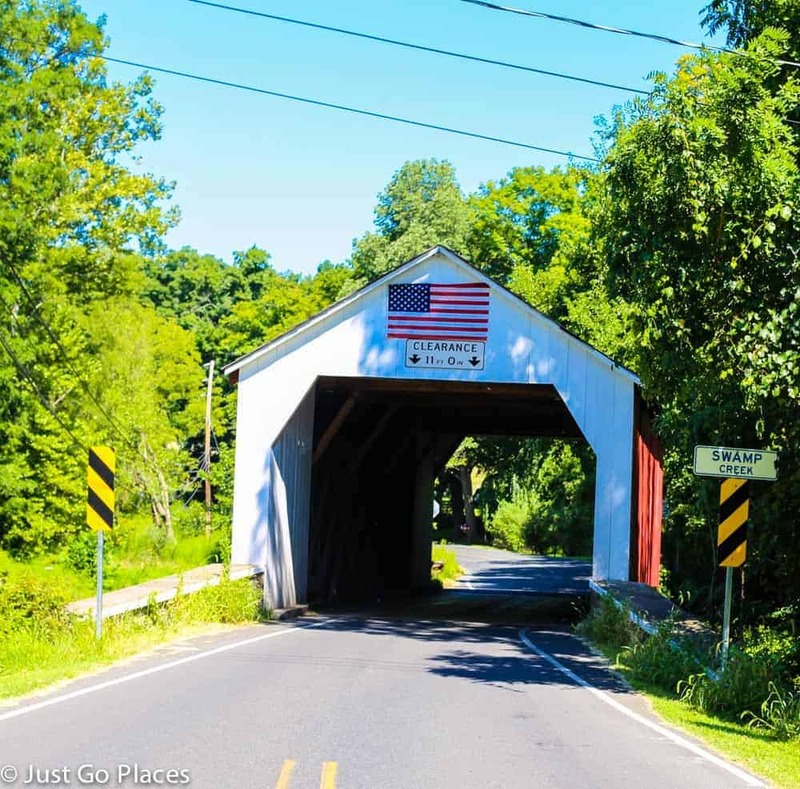 I set out to explore some of the historic covered bridges of Bucks County in Pennsylvania courtesy of the very handy covered bridge tour put out by the county authorities. 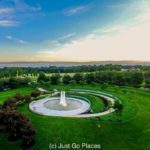 With a landscape full of farmland and parks, a driving tour is one of the many pleasurable things to do in Bucks County. 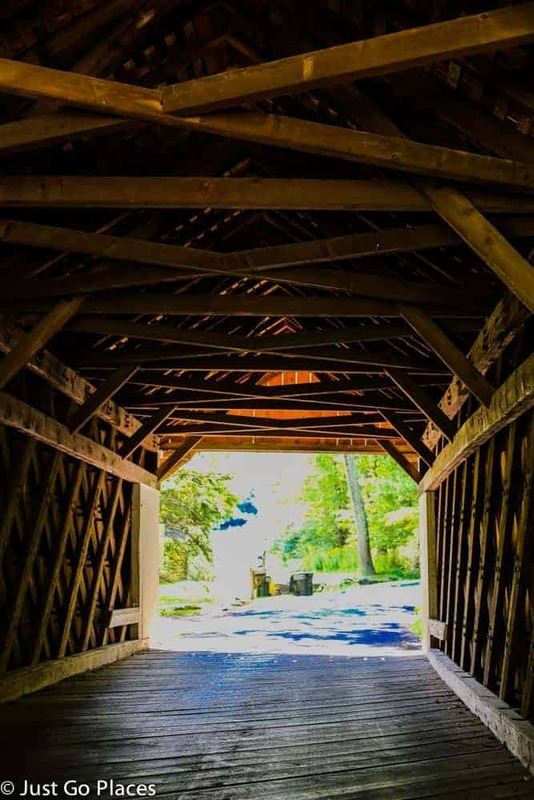 Covered bridges became a romantic trope thanks to the wildly popular 1995 movie, The Bridges of Madison County starring Meryl Streep and Clint Eastwood based on the novel of the same name. Some people called them ‘kissing bridges’ because courting couples could sneak a kiss on them away from prying eyes. A more practical explanation would be that the covered part of the bridge protected the actual bridge from the elements. Additionally, a covered bridge kept animals from spooking on the bridge when they were crossing. Of course, covered bridges also protected people crossing from sudden storms. Covered bridges fell out of favour when metal bridges began to be built in the mid-19th century. Now there are so few left, they are protected and rebuilt if they become damaged. 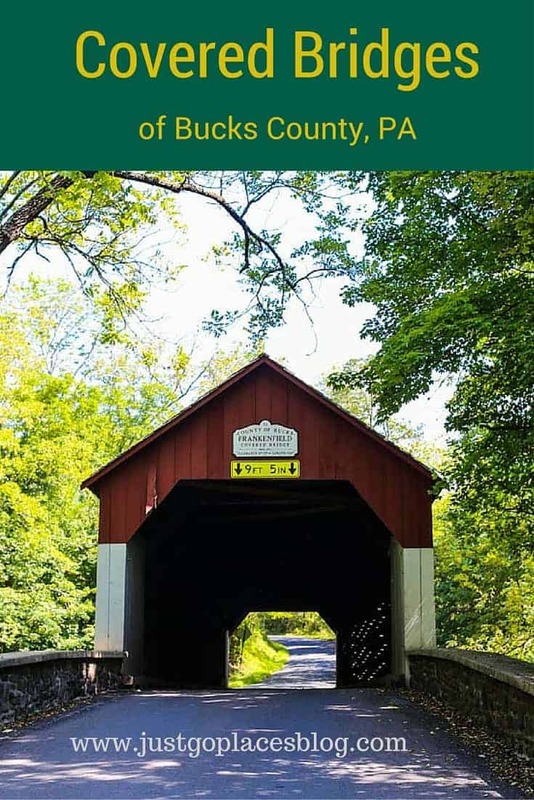 Bucks County in Pennsylvania still has 12 of 36 of its original covered bridges. Not bad considering that there were about 12,000 covered bridges in the United States but only about 10% remain. I managed to convince the kids to do a mini road trip to see three of the remaining covered bridges of Bucks County. Yes, covered bridges are pretty but of limited interest on a sunny day to 9 year-olds. Luckily, it was a heat wave and they were happy to drive around for a couple of hours in an air-conditioned car! Frankenfeld Bridge, built in 1872, is bigger at 130 feet long. It crosses Tinicum Creek near where it merges with the Delaware River. Erwinna Bridge is the oldest (1832) and the shortest (56 feet long). It crosses Lodi Creek which when we saw it had pretty much dried up to nothing. Fortunately, the countryside provided a beautiful drive as well. 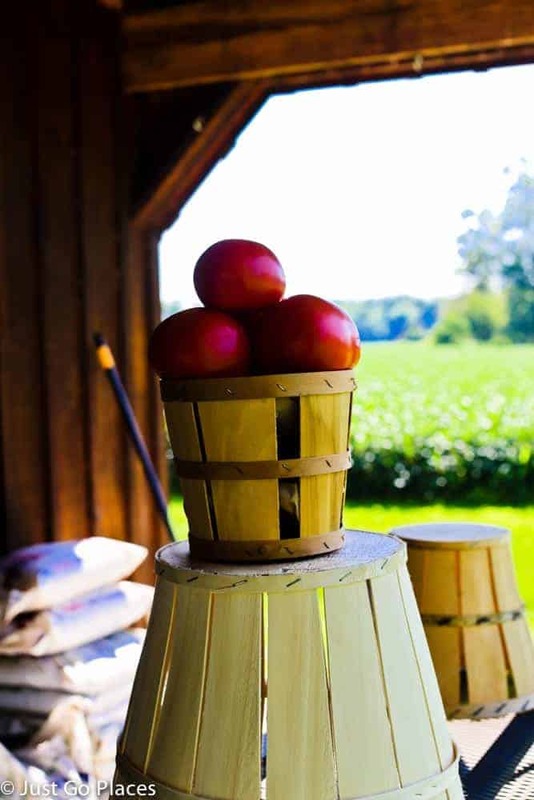 We stopped at farm stands and found fresh tomatoes and peaches in season. 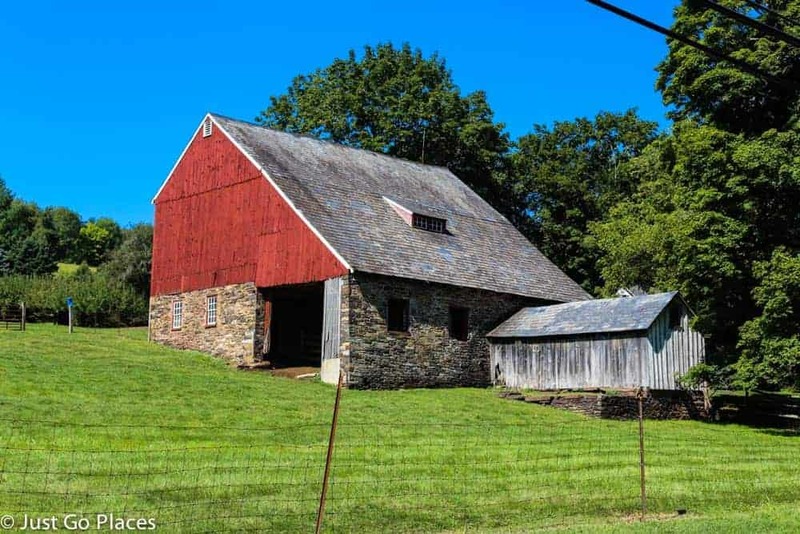 Although we didn’t run into a Clint Eastwood-type out on assignment for National Geographic, our drive was a lovely diversion in the middle of a hot summer day in Bucks County. A Covered Barn over a creek. – that’s different from the usual! 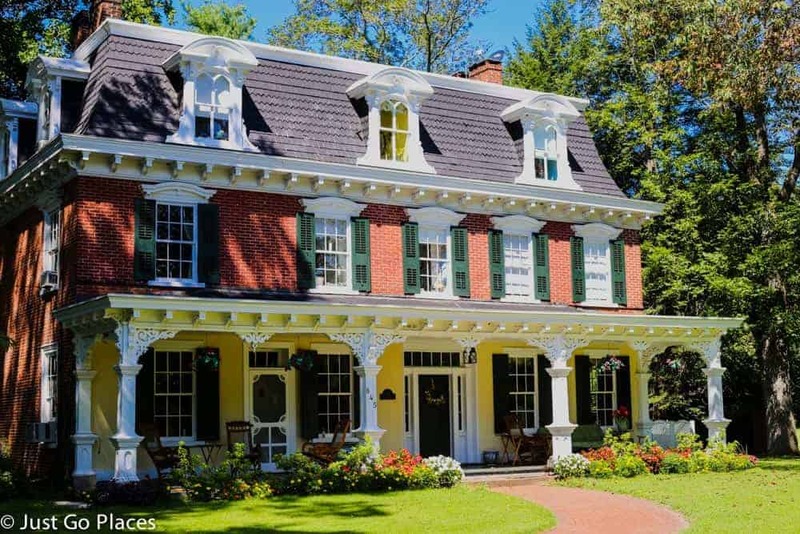 One of the grand historic homes along the Delaware River. Looks like a great area! 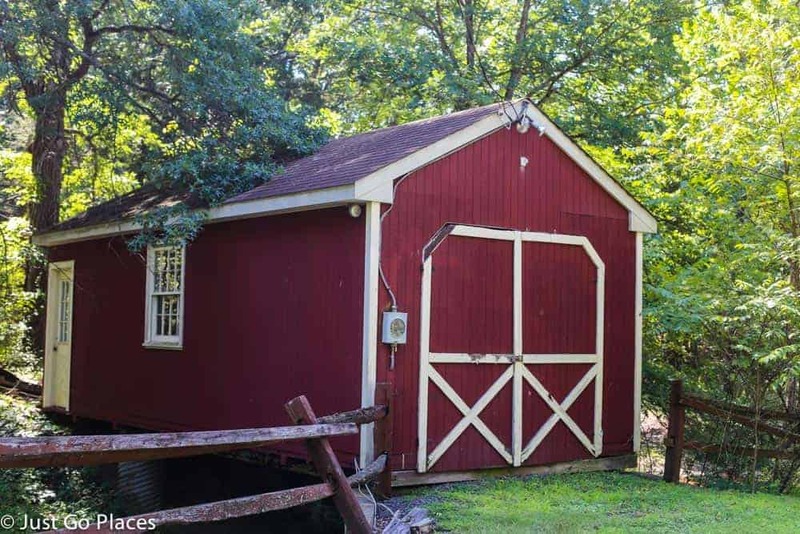 Lots of barns and covered bridges are something you can never go wrong with. I think so too. So picturesque no matter what time of the year. What gorgeous bridges! I’m trying to figure out how I lived in Philadelphia for 7 years (right by Bucks County!) 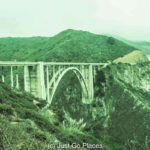 and didn’t explore these bridges…I clearly missed out! 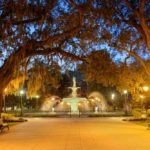 Thanks for linking up with Travel Tales! It’s easy I expect. I visit my parents in Bucks all the time and rarely make it into Philly. And, it’s only a 40 minute drive into the centre!